George Abbott was born c1863 in Dundee, Scotland, son of William Brodie Abbott and Jessie. He married Mary Lewis on 25 June 1889 in Bourke, NSW and they had five sons and three daughters. George Abbott died on 26 September 1928 in Burwood (formerly of Waterloo), NSW aged 65 years; he was buried in the Church of England Section of Rookwood Cemetery. George Abbott lived at 47 Botany Road, Waterloo (1908). George Abbott was the licensee of the ’Sportsman’s Arms’ hotel at 47 Botany Road, Waterloo. Abbott urged an increased police presence to control larrikinism in Waterloo in 1907. His business as a hotel keeper had been adversely affected by larrikins. 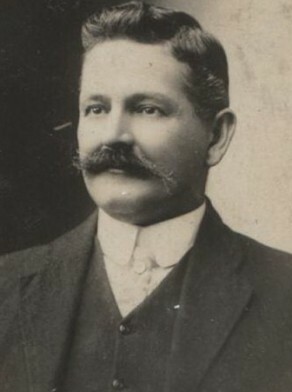 George Abbott was nominated on 27 August 1906 to represent the West Ward; this was following the resignation of Alderman William Fletcher. He was an alderman on Waterloo Council in 1906-10 representing the West Ward.